Congratulations to our 2018 Marc Cardaci Award winner Zoe Price! Zoe started working at Centurion as a Graduate Business Analyst in 2016 and quickly progressed to Contract Specialist before starting her current position as Manager – Contract Delivery. Zoe is a deserving winner of Centurion’s Employee of the Year award and we wish to thank her for her dedication to her role. 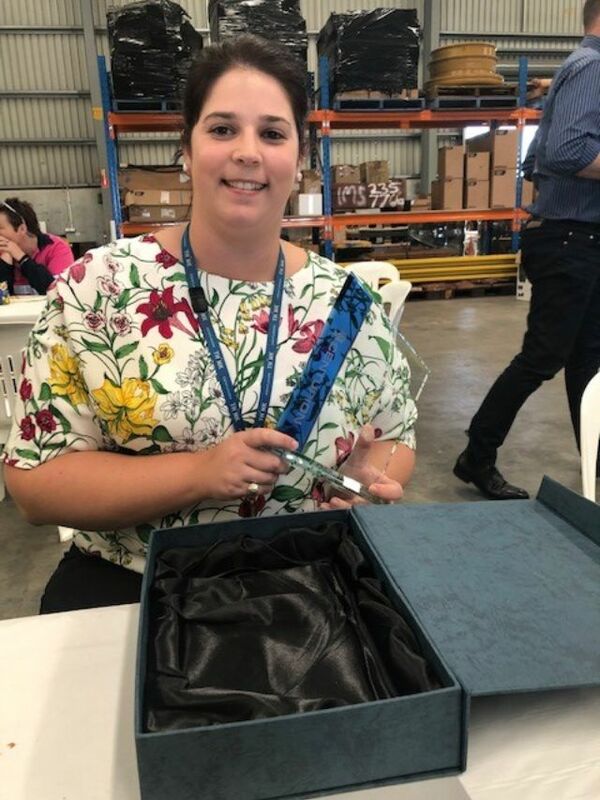 She always displays the Group’s RIPPA values of Respect, Integrity, Passion, Persistence and Accountability, and is committed to making a difference. Zoe is hard working, professional, respectful and always goes the extra mile for her clients. Marc Cardaci Award winner Zoe Price. And a huge congratulations also to this year’s runner-up, Lee Waaka. Lee started with Centurion in 2016 as a Freight Officer and has since become the Dock Team Leader. Lee’s ability to lead a team and drive performance has not gone unnoticed, and his integrity and passion for Centurion makes him a deserving winner of this award. Well done and thanks for your great work! 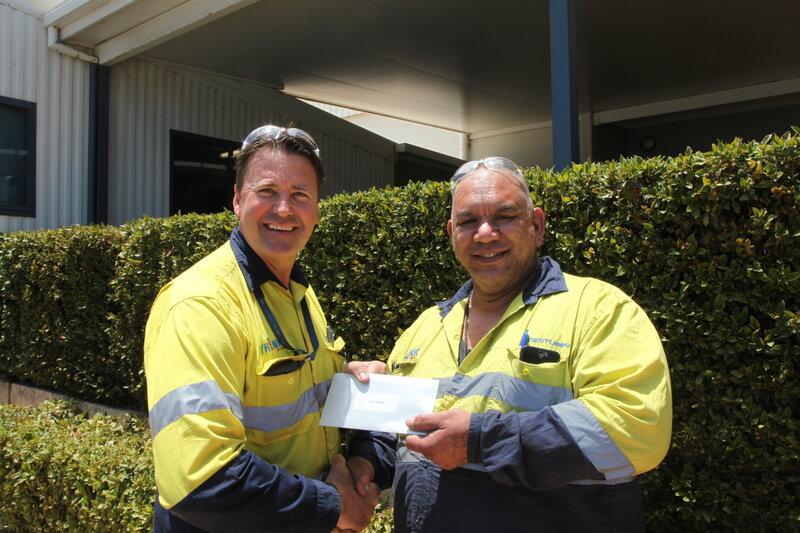 Employee of the Year Runner-Up Lee Waaka (right) with Dock Manager Wayne Deadman. 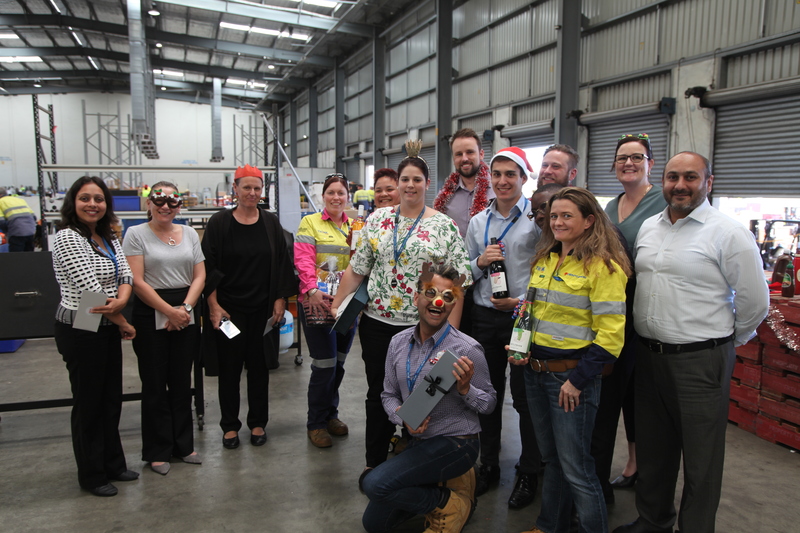 The awards were presented during the Christmas Lunch celebrations at the Perth headquarters. Throughout the year staff are nominated by their managers in recognition of excellent work and a winner is chosen each quarter. From these four winners the Marc Cardaci Award and Encouragement Award (runner-up) are chosen and awarded a travel voucher along with a trophy and certificate. Zoe Price and her team enjoying the Christmas Lunch event.